Strathmore has produced a wide range of watercolor sketchbooks suitable for everyone from beginners to professionals. 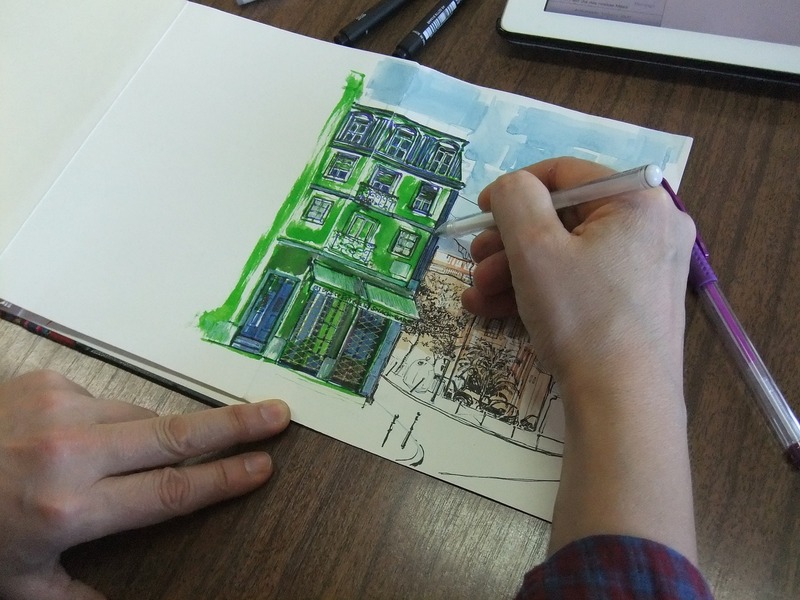 In this article, we are reviewing Strathmore 400 series watercolor sketchbooks. Before we do that, it's useful to know how Strathmore group their sketchbooks; Strathmore groups its products with the notion of series. The series ranges from 100 to 500, 100 represents entry level sketchbooks and 500 represents their top of the line sketchbooks. 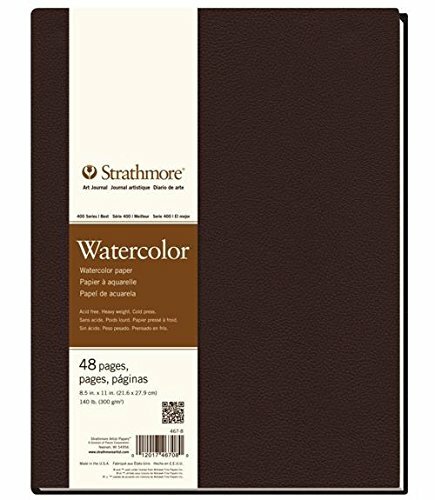 Strathmore 400 sketchbooks is a fantastic choice for intermediate watercolor artists as these balance affordability with paper quality (it is quite rare to see a sketchbook with a 300 gsm paper). 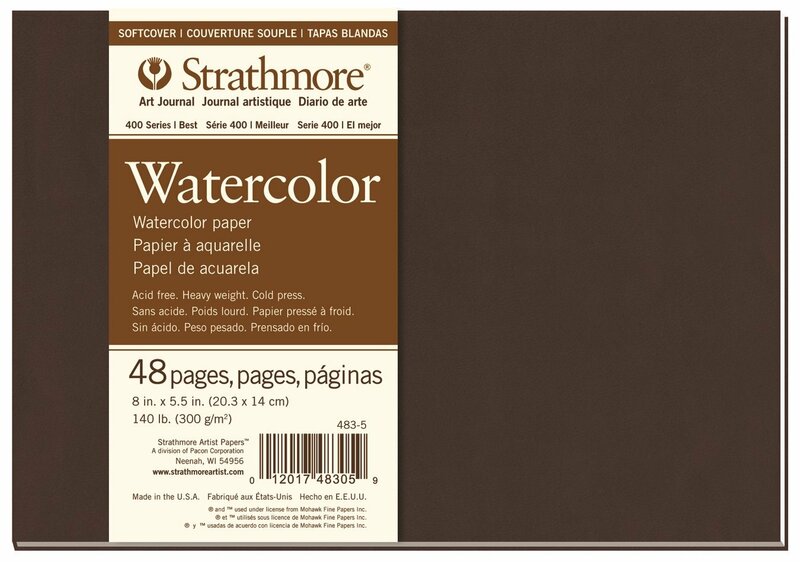 Strathmore 400 series watercolor sketchbooks come in a wide range of paper sizes, paper types (white, toned gray), different binding systems (tape or wire bindings) and in hardback and softcover versions. The possible combinations can be overwhelming but on the flip side, you have the freedom to choose the size and binding that works best for you. 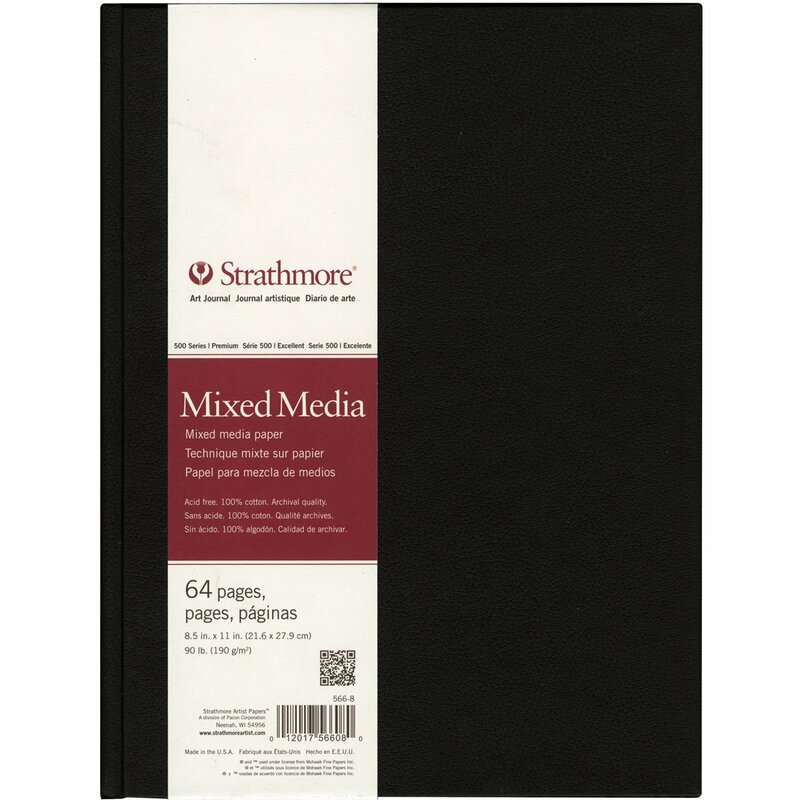 The Strathmore 400 series sketchbooks have 140 pound/300 gsm pages and are cold pressed. The pages are naturally white, and the cold-pressed texture allows for fine, even color washes as well as fine details. The paper is thick enough to withstand washes, lifting, and scraping. We really like the hardcover version, as the sturdy chipboard back on the sketchbook is great for acting as its own drawing surface; you can simply flip the book open and don't need a table or an easel to support your work. 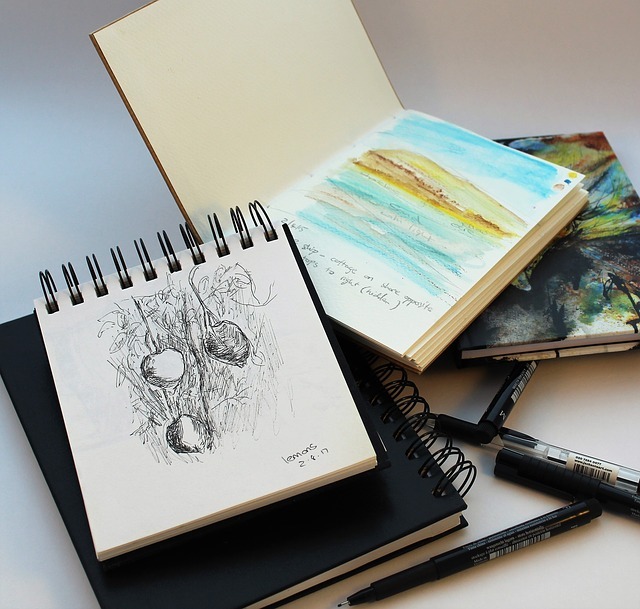 Strathmore 400 series watercolor sketchbooks are perfect for intermediate watercolor artists. 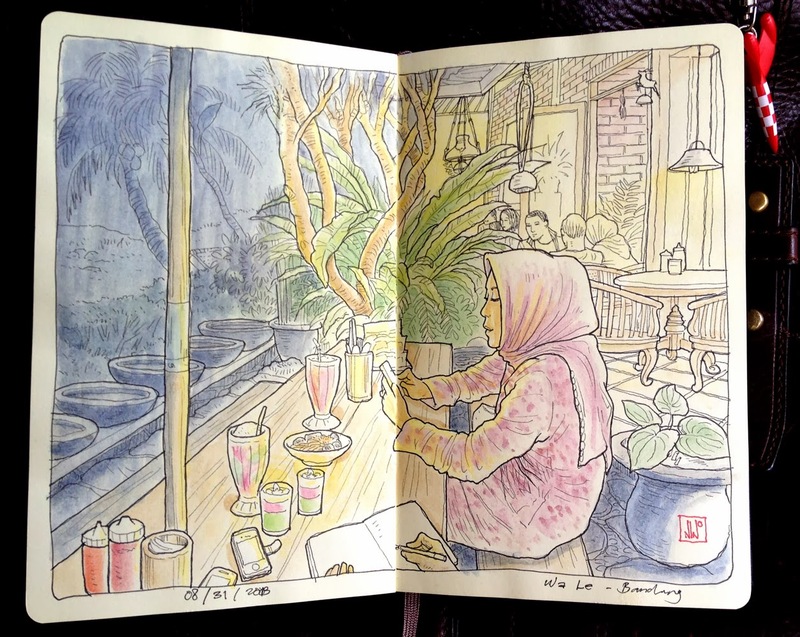 The paper is particularly good for color blending and washing. The hardcover version is also suitable for artists who take their sketchbooks around and about (see the cover version below for more details). Advanced watercolor artists may prefer a paper that is more robust for scraping, or hard pressed for smoothness. 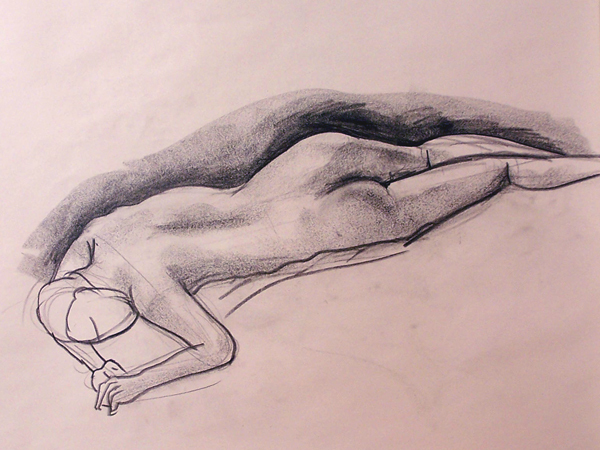 For these artists, Strathmore 500 series might be better suited. 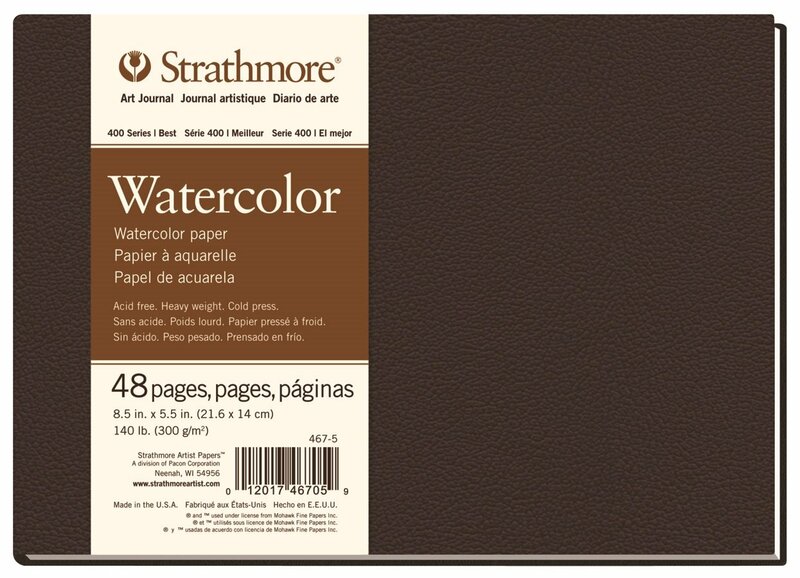 Strathmore Series 400 sketchbooks come in both softcover and hardcover version. 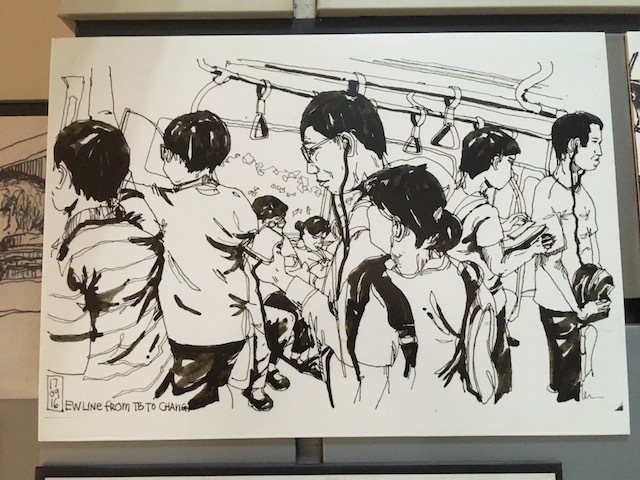 A word of advice, if you are planning to do some travel sketching with this sketchbook, we recommend the hardcover version. The softcover version bends quite easily thus it’s quite hard to draw on without having a solid base to put it against. The hardcover is backed with sturdy chipboard to provide excellent support while you paint. You can choose a spiral binding or a tape binding, and both lay flat when working and are robust enough to open and close repeatedly without tearing. Spiral bindings are true to size; the page size doesn't include the excess spiral trimming. 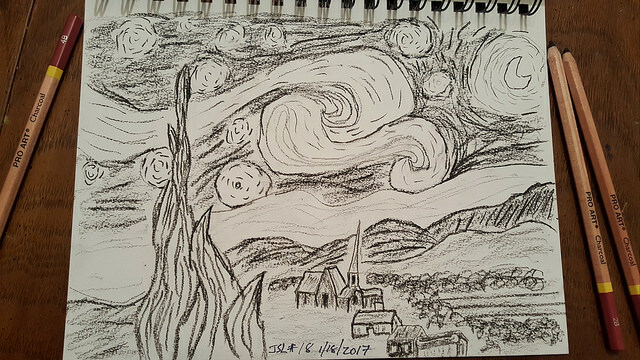 The paper is natural white for excellent color, and acid-free to preserve your artwork. The sheets are 140 pound/300 gsm for good thickness that can withstand color washing, lifting, and scraping without tearing or warping. 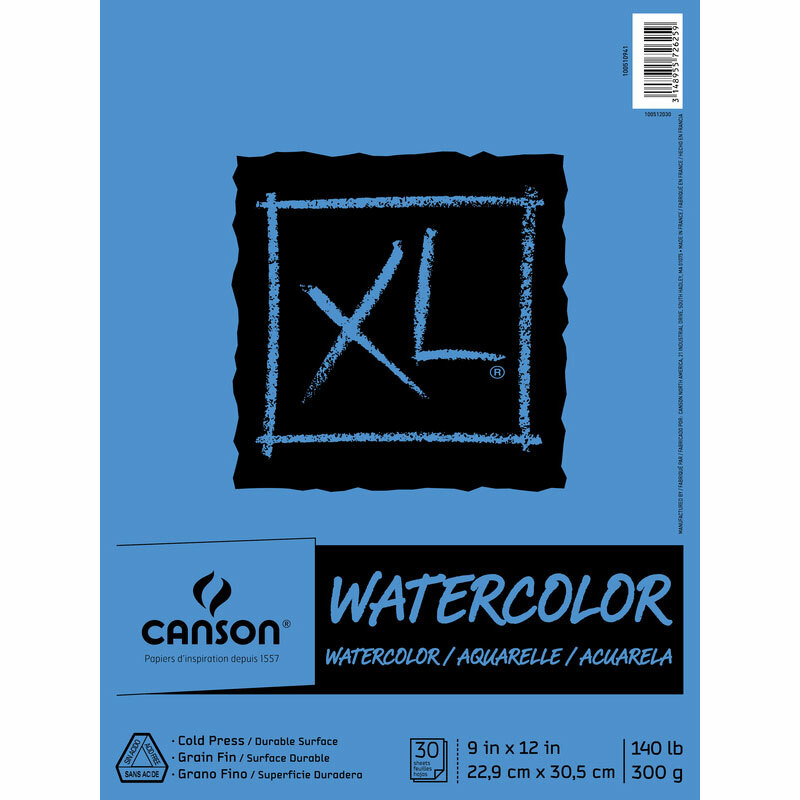 The cold-pressed surface has a fine texture perfect for watercolor. While these sketchbooks are designed for watercolor, they work well with all wet media, including tempera, acrylic, gouache, and poster paints. Advanced watercolor artists may want to upgrade to the Strathmore 500 “Ready Cut” series. These sheets not only feature the advanced Strathmore 500 series paper, which is 140 pounds/300 gsm, 100% cotton, acid-free, and comes in hot or cold pressed. The 500 series papers is hard sized for superior surface strength and has better water hold-out and improved color blending and lifting. These archival quality papers come in “ready cut” sizes already trimmed to standard mat and frame sizes, so your work is ready to frame from the moment it's dried. Strathmore watercolor sketchbooks are specifically designed to meet the needs of watercolor artists, with a range of papers that are suited to beginners and professional artists as well. 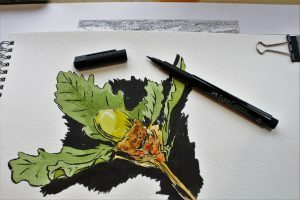 The wide range of sketchbook sizes, binding types, and paper types means that it's always easy to find the watercolor sketchbook that is right for your needs, and to evolve and grow over time. 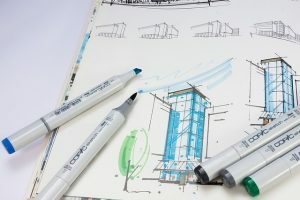 The Strathmore 400 series is an excellent choice for beginning and intermediate artists who are committed to growing, experimenting, and improving their watercolor techniques, and want high-quality watercolor paper at an affordable price.